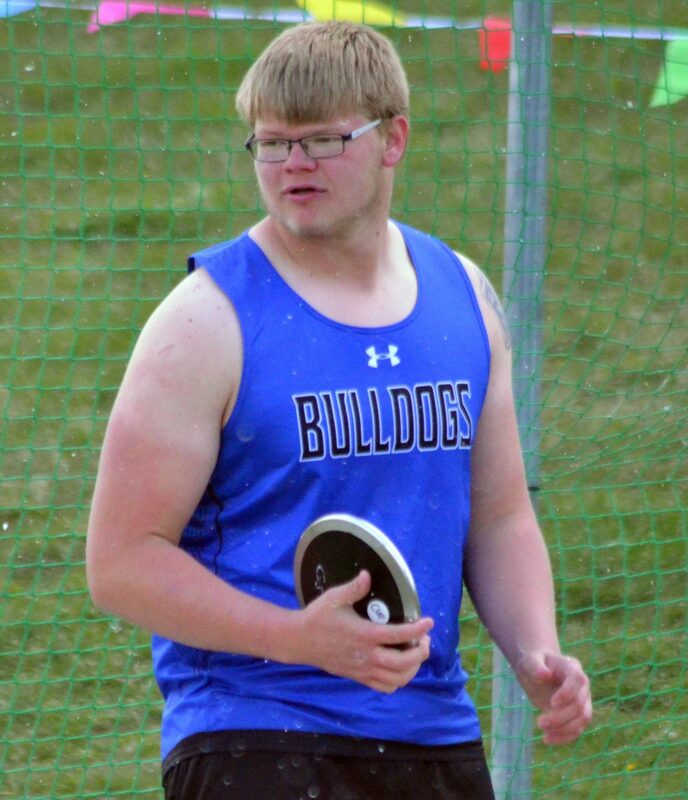 Moffat County High School's Zane Shipman readies for his final throw in the boys discus at Friday's Clint Wells Invitational in Craig. 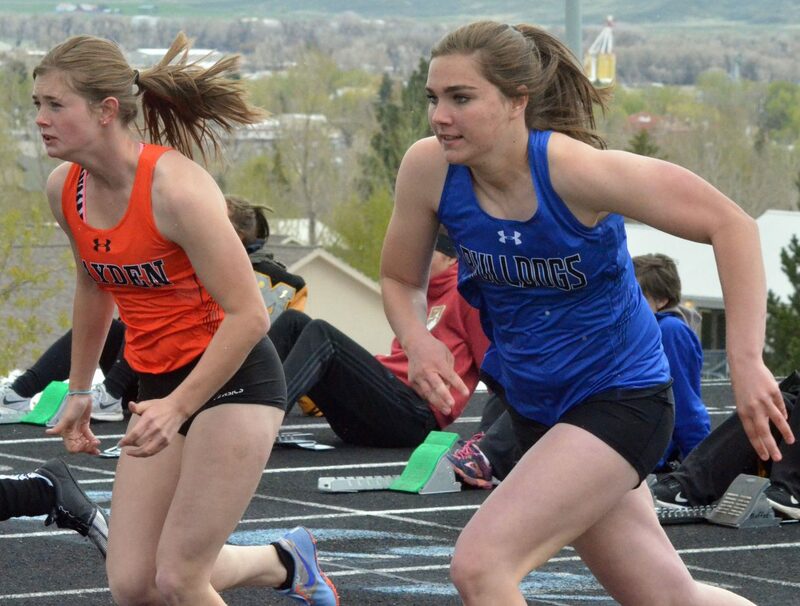 Moffat County High School's Jenna Timmer bolts from the starting line of the girls 100-meter dash at Friday's Clint Wells Invitational in Craig. 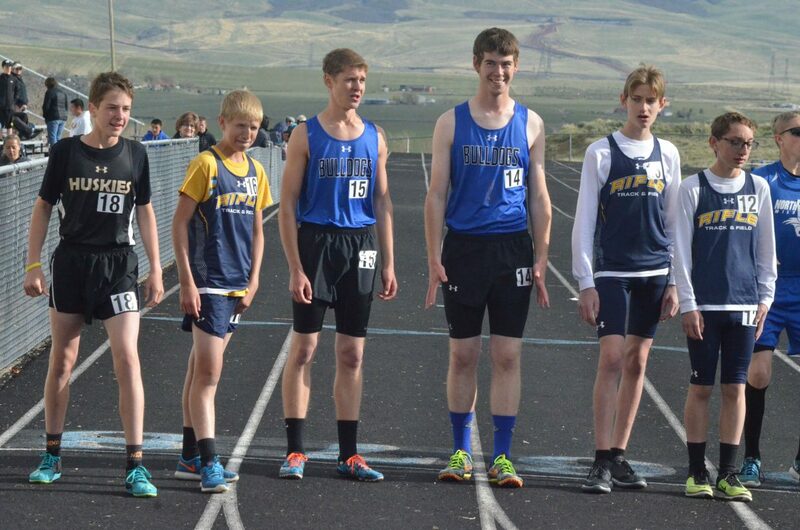 Moffat County High School's Garrett Flint and Nick Pugh prep for the start of the boys 3,200-meter run at Friday's Clint Wells Invitational in Craig. 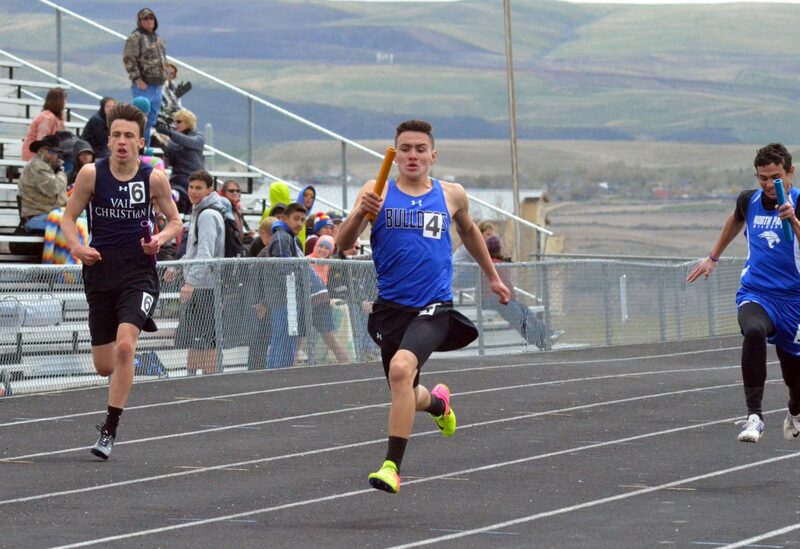 Moffat County High School's Victor Silva takes the lead on his way to a win in the boys 4x200-meter relay at Friday's Clint Wells Invitational in Craig. 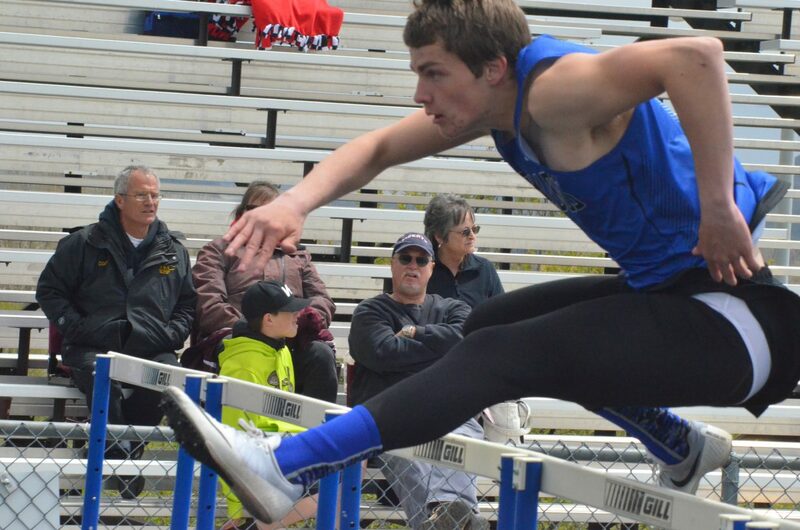 Moffat County High School's Jared Atkin vaults during the boys 110-meter hurdles at Friday's Clint Wells Invitational in Craig. 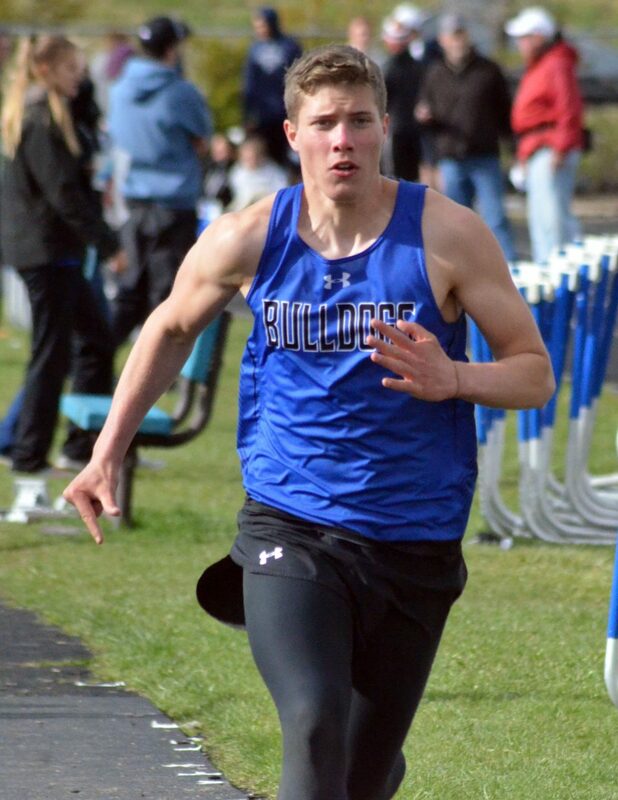 Atkin's win in the event was one of numerous victories for the Bulldogs. 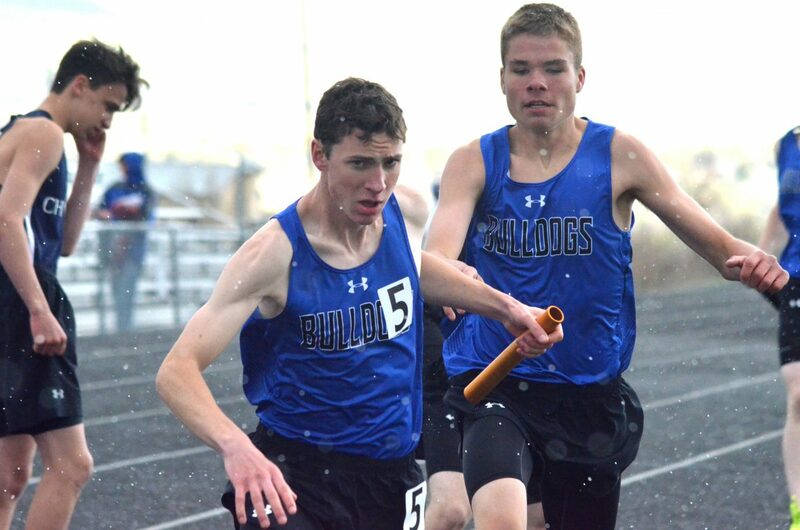 Moffat County High School's Grant Wade, left, takes the baton from teammate Carter Severson during the boys 4x400-meter relay as snow overtakes Friday's Clint Wells Invitational in Craig. 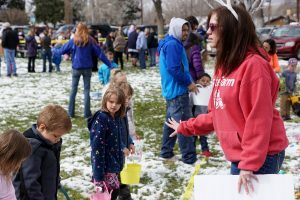 MCHS boys won the race as well as the overall event. 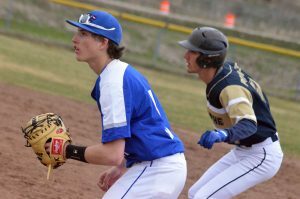 Moffat County High School's Cale Scranton is on the approach in the boys long jump at Friday's Clint Wells Invitational in Craig. 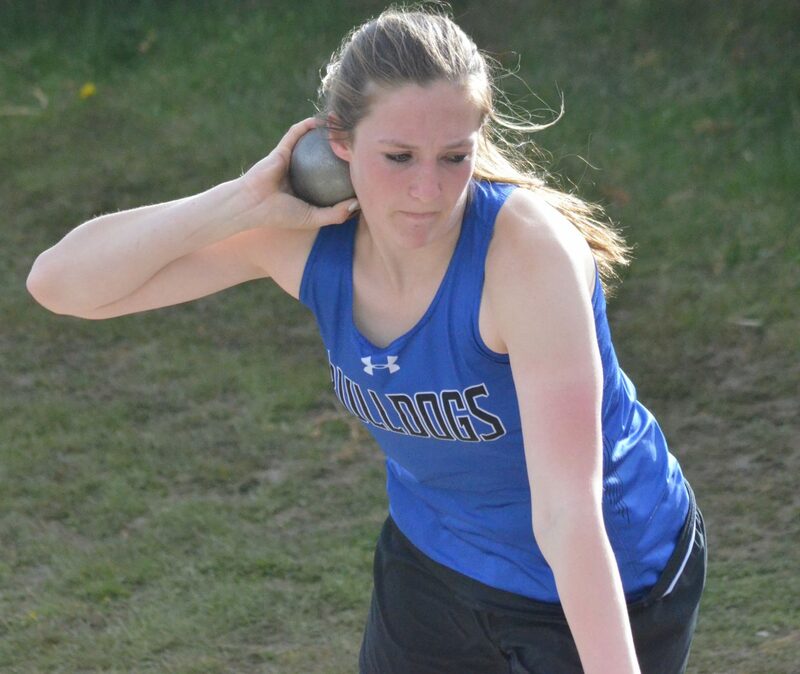 Moffat County High School's Tiffany Hildebrandt starts her motion in the girls shot put at Friday's Clint Wells Invitational in Craig. 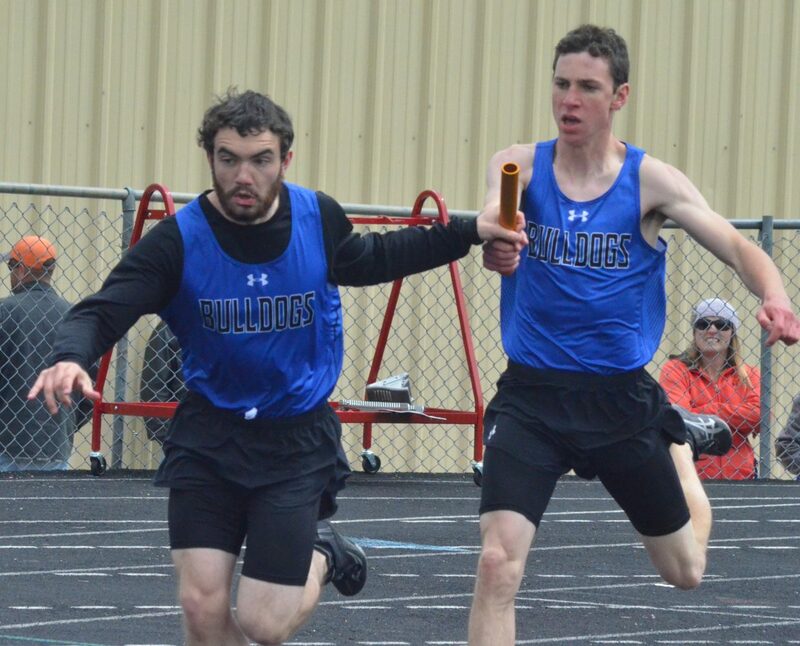 Moffat County High School's Isaac Trevenen, left, and Grant Wade complete a hand-off in the boys 4x200-meter relay at Friday's Clint Wells Invitational in Craig. 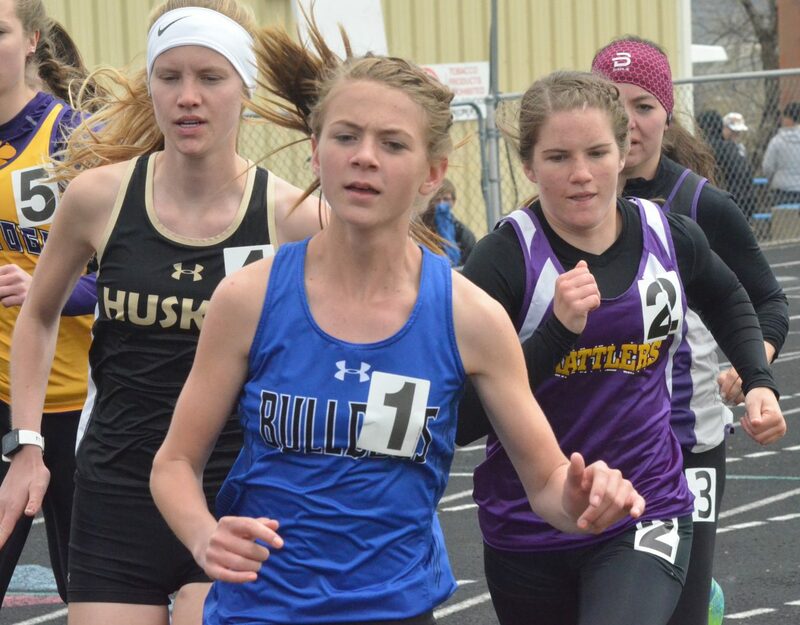 Moffat County High School's Liberty Hippely leads the pack during the girls 1,600-meter run at Friday's Clint Wells Invitational in Craig. 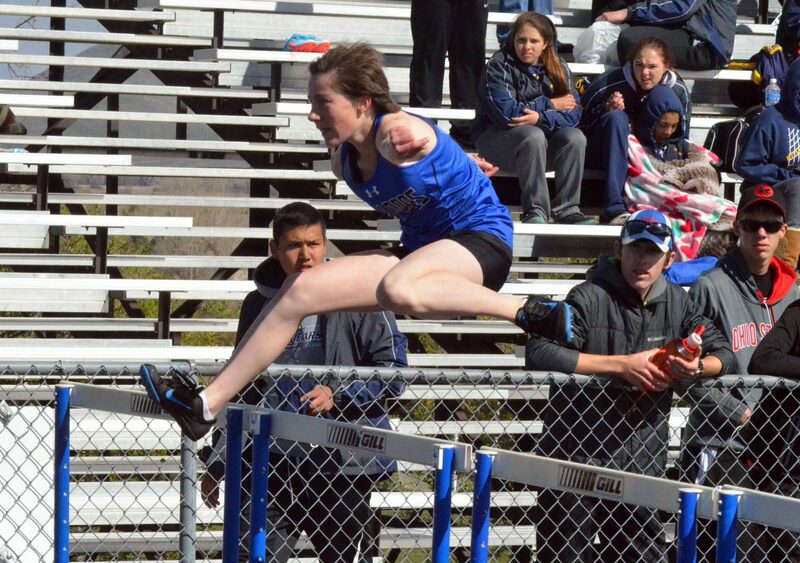 Moffat County High School's Allison Villard leaps with purpose during the girls 300-meter hurdles at Friday's Clint Wells Invitational in Craig. 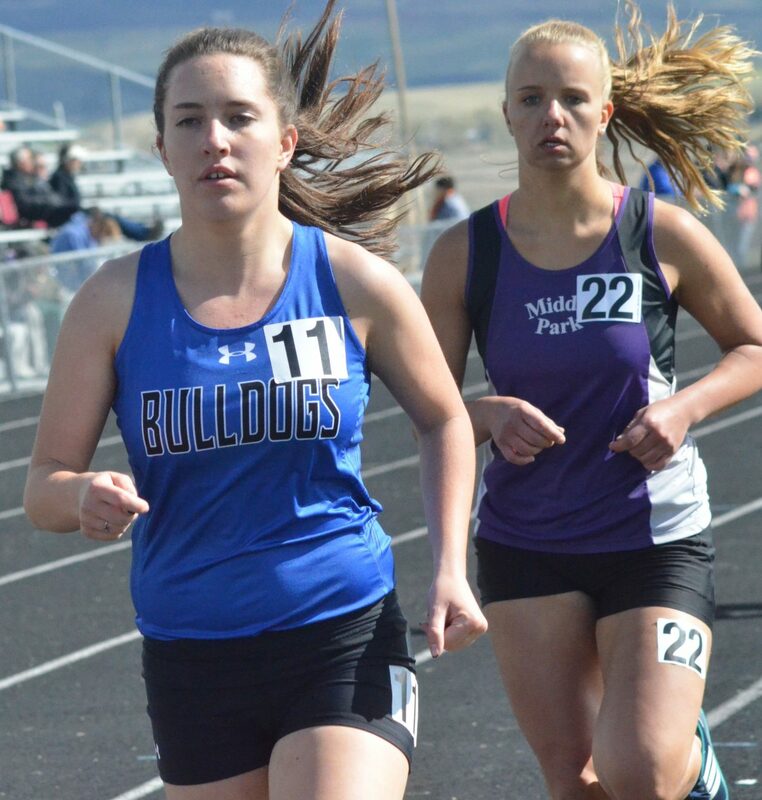 Moffat County High School's Kaylee Durham goes into the second lap of the girls 800-meter run at Friday's Clint Wells Invitational in Craig. 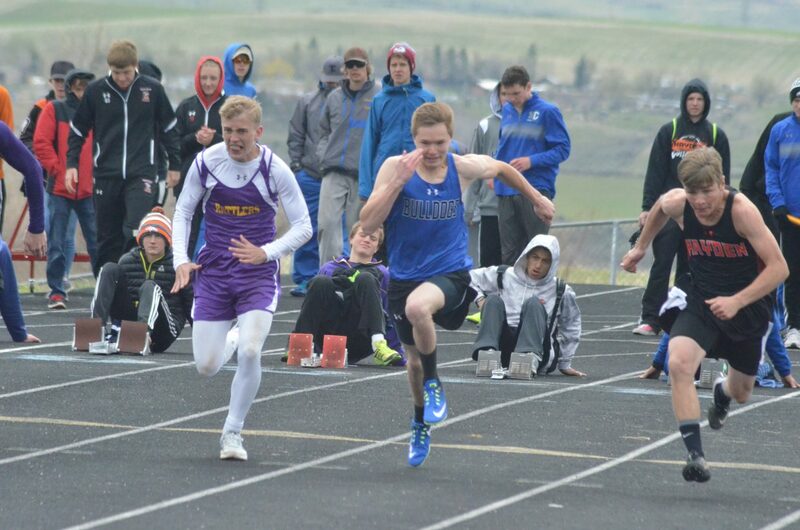 Moffat County High School's Drew Rothermund takes off during the boys 100-meter dash at Friday's Clint Wells Invitational in Craig. 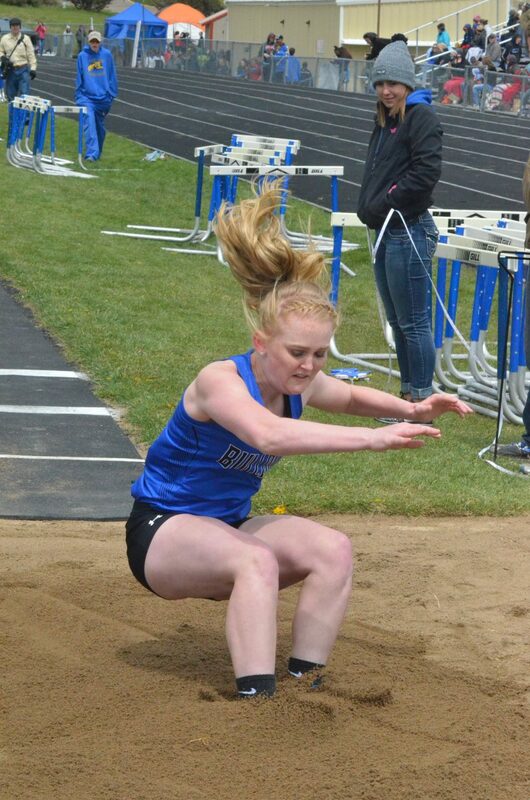 Moffat County High School's Jaidyn Steele hits the dirt in the girls long jump at Friday's Clint Wells Invitational in Craig. 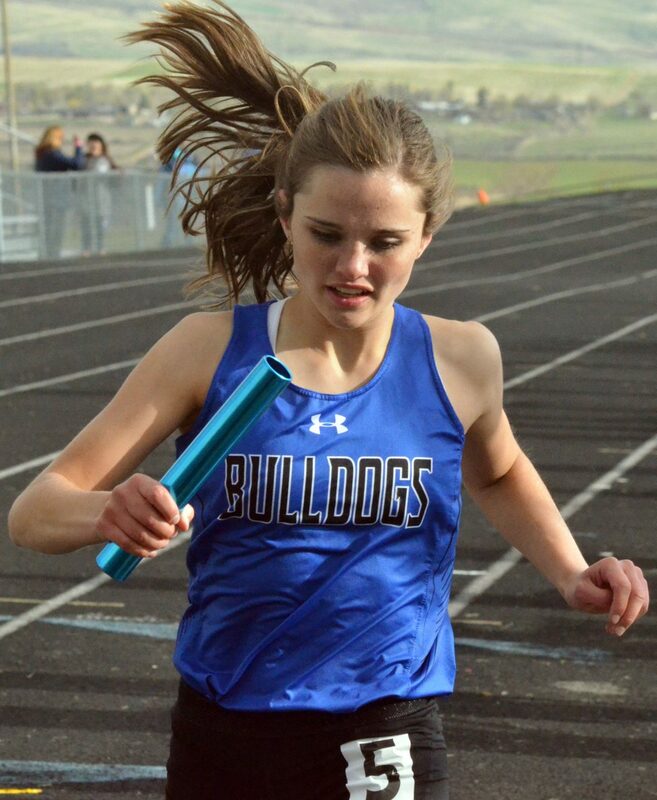 Moffat County High School's Stephenie Swindler hones in on the finish line during the girls 4x400-meter relay at Friday's Clint Wells Invitational in Craig. 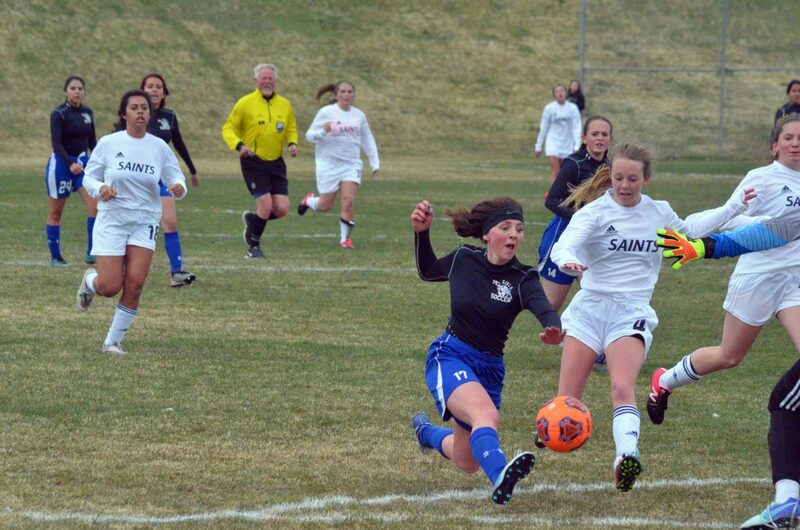 MCHS girls placed second among teams. 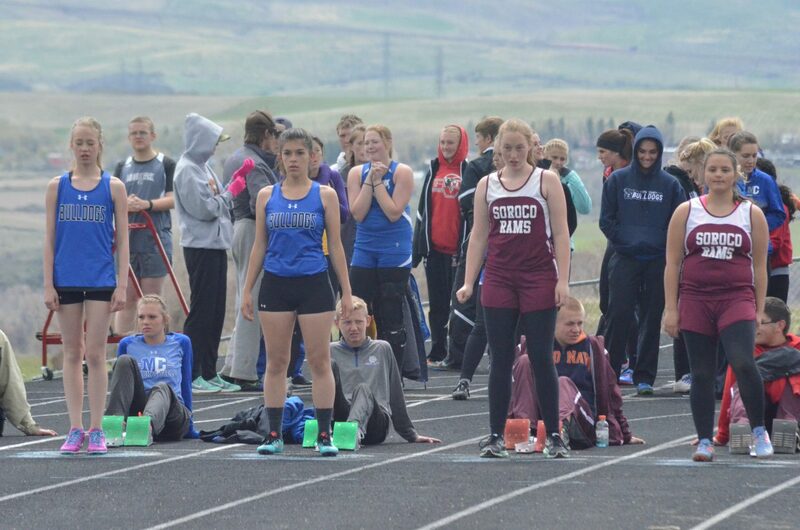 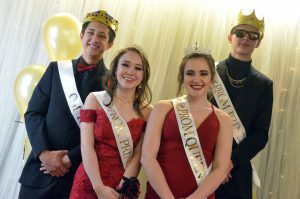 From left, Moffat County High School's Sara Beason and Alexis Main and Soroco's Hannah Hayes and Grace Beaty ready themselves at the starting line for the girls 100-meter dash at Friday's Clint Wells Invitational in Craig.